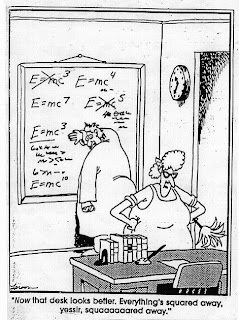 Figure 1: How Einstein developed his famous expression. and so on, along with their complex conjugates, until he lucked out with the solution in (5), see Fig. 1.
where is any of the combinations of and in (6). Although this is not a ``canonical transformation,'' the symmetric form4 of the Hamiltonian allows us to reduce the Hamiltonian from a function of two dynamical variables to a function of a single dynamical variable. Switching back to quantum mechanics, we now see a rationale for choosing and as we did.5 Although deciding which variable to attach the to and its choice of sign is a guess,6 we now have a general method for approaching Hamiltonians that look like they might be easily factored classically -- try using the classical factorizations with quantum quantities and see what happens. J.J. Sakurai. Modern Quantum Mechanics. Addison-Wesley, San Francisco, CA, revised edition, 1993. F. Schwabl. Quantum Mechanics. Springer, 3rd edition, 2005. D.J. Griffiths. Introduction to Electrodynamics. Pearson Prentice Hall, 3rd edition, 1999. P.A.M. Dirac. The Principles of Quantum Mechanics. Oxford University Press, USA. 1 I'll be discussing this in the boring algebraic sense of symbols and whatnot, leaving off the geometric/visual interpretation of the algebra for another time. 3 And, since this is a classical problem, the order does not matter, either. 4 Yes, it's only up to a constant which I've set to one, but you can still symmetrize things by changing to unitless variables, see . 5 Recall that the for a quantum-mechanical operator/matrix serves the role of the in (7). 6 It actually does not matter to the solution of the problem. The only change is which operator acts to `step up' the state. Dirac actually defined his operators with the attached to the variable, see . Each blog post will be have a link to a nicely formatted PDF with the same content. Come back here this Monday (March 30, 2009) for my first real post.